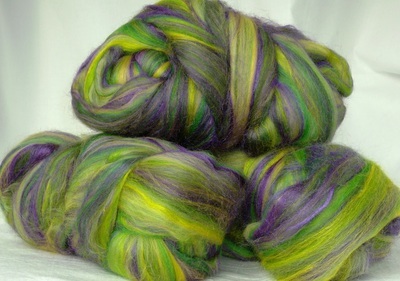 Fibres cost £8 per 100 grams. 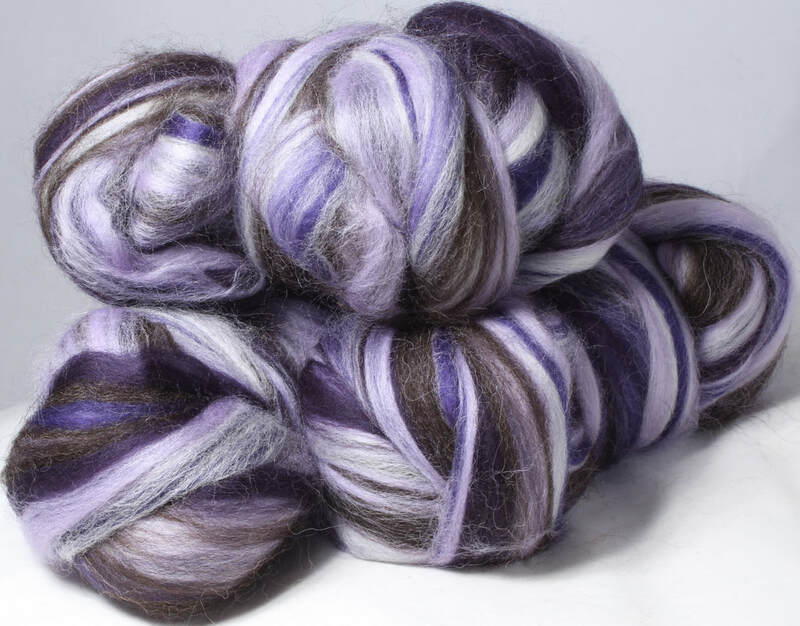 If you want to get hold of some of these fibres and can't get to see me in person at one event or another, click this link to go the webshop and buy some right now! 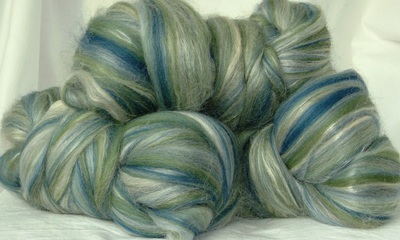 On my blog page, you can see some photos of the fibres spun and felted, so you can see what I've done with them. 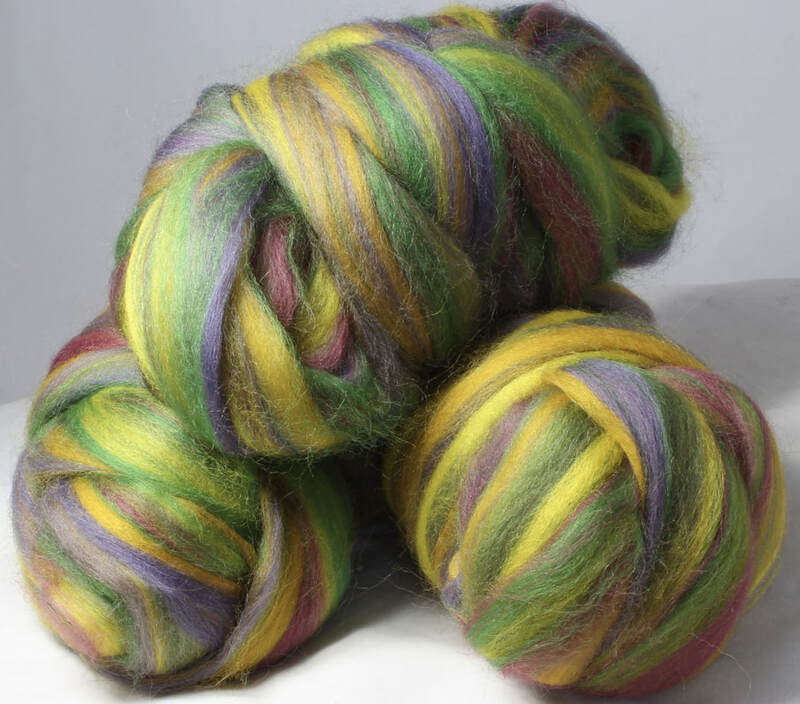 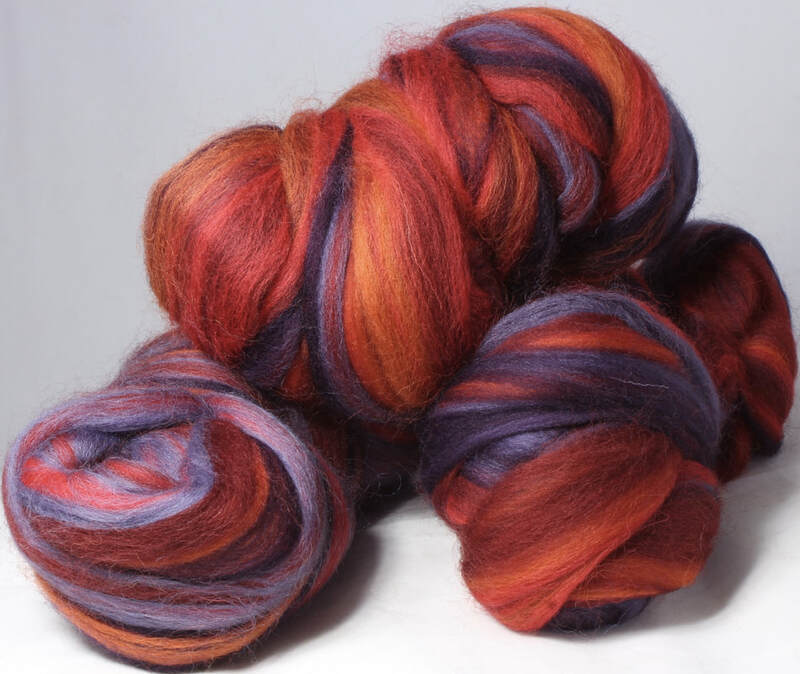 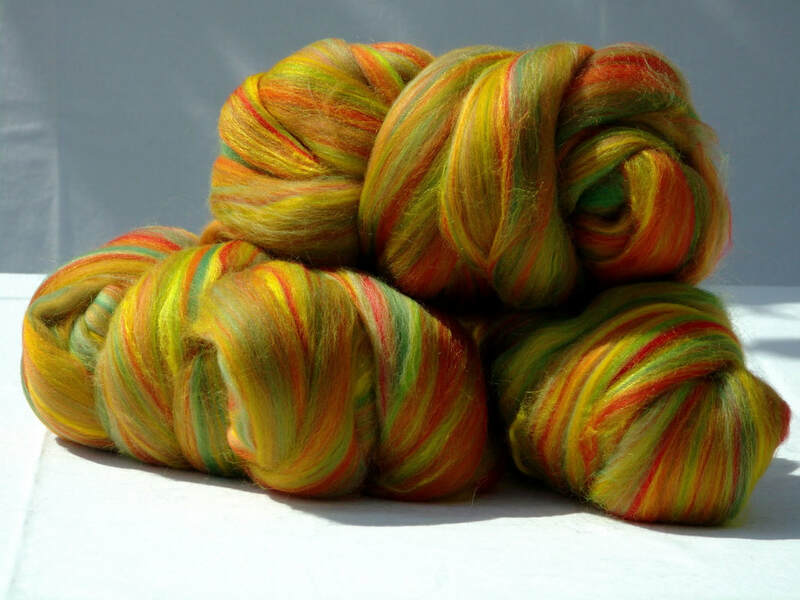 For what they look like spun, visit the yarn page here If you have bought fibres from me then I'd love to see pictures of what you have created with it - either yarn, felting or knit/crochet/weave. I've been reblending my fibres and trying to go all British. I've not quite got there, but nearly! 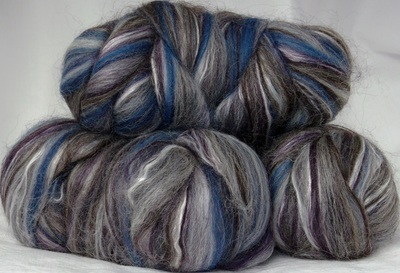 Just hover over the photos for a caption telling you what each is called and which fibres are used. 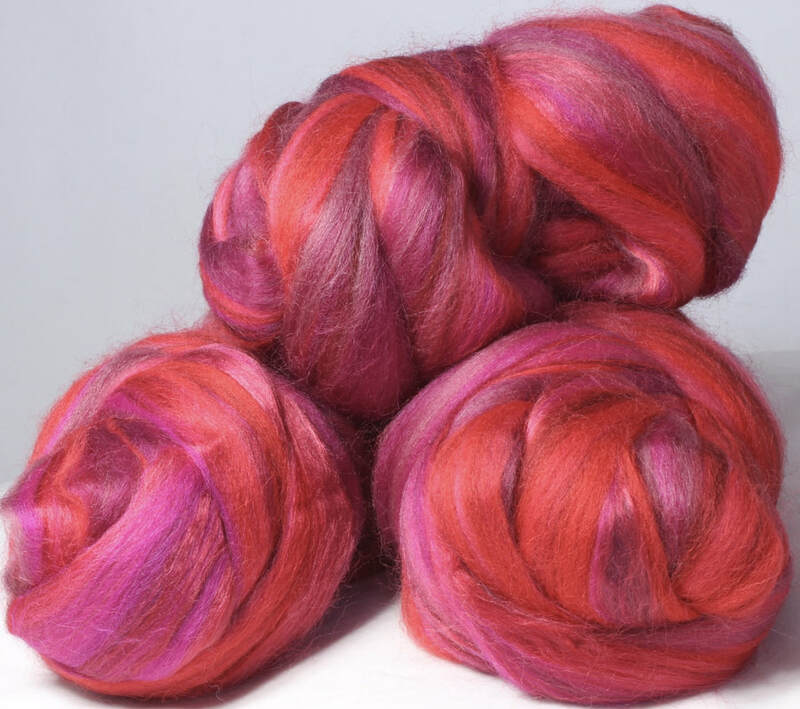 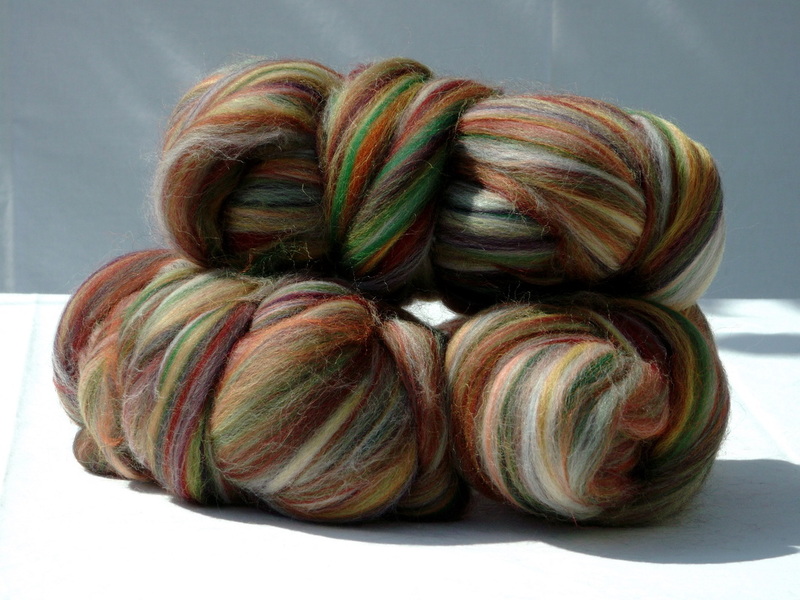 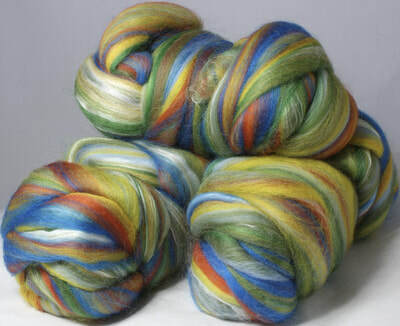 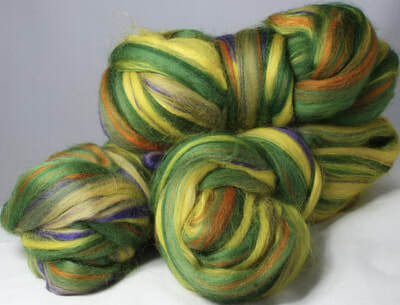 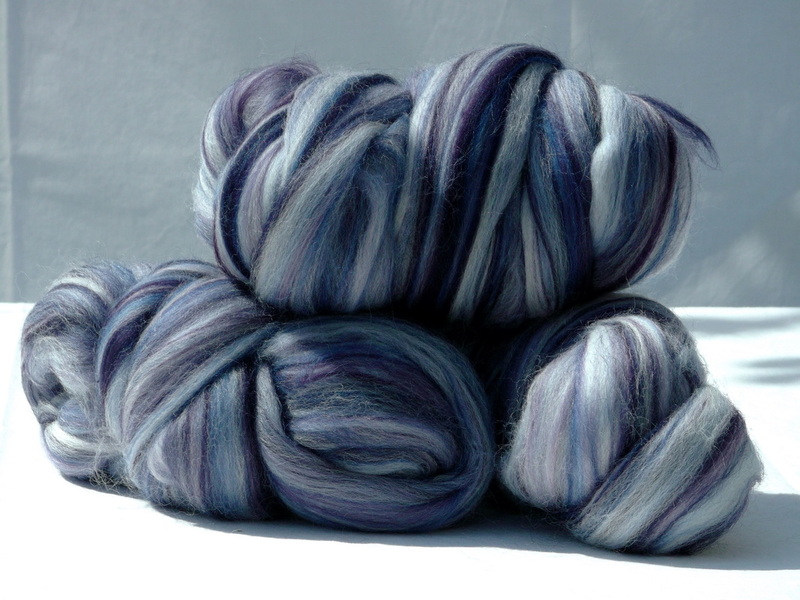 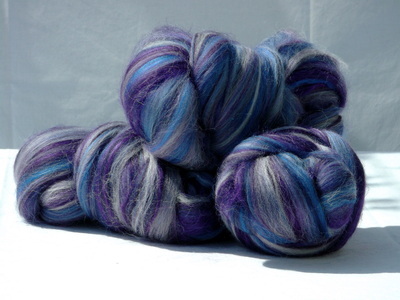 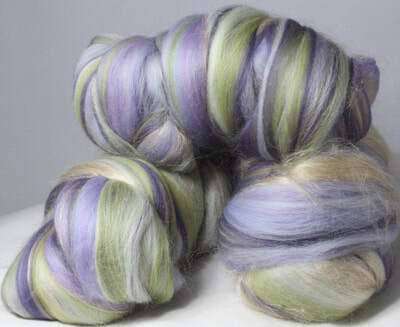 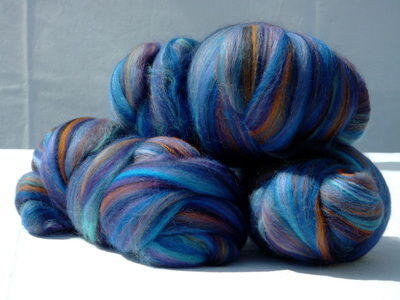 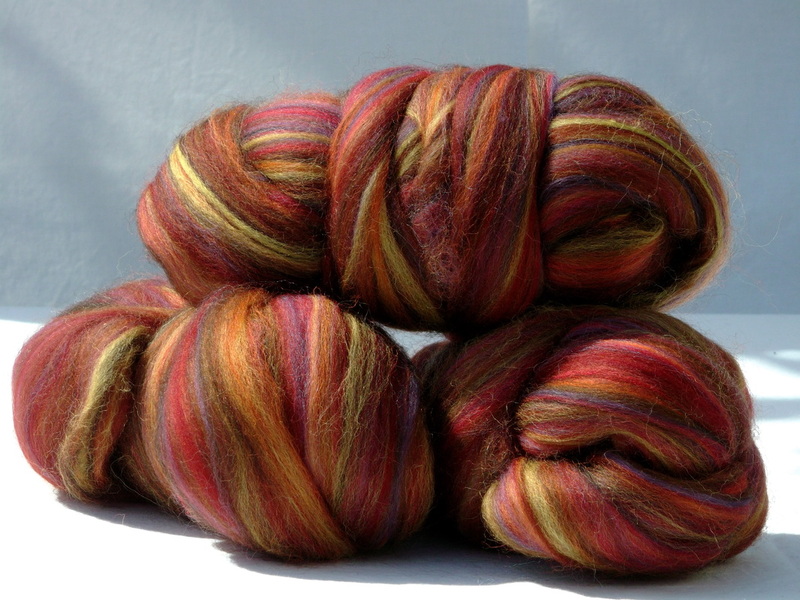 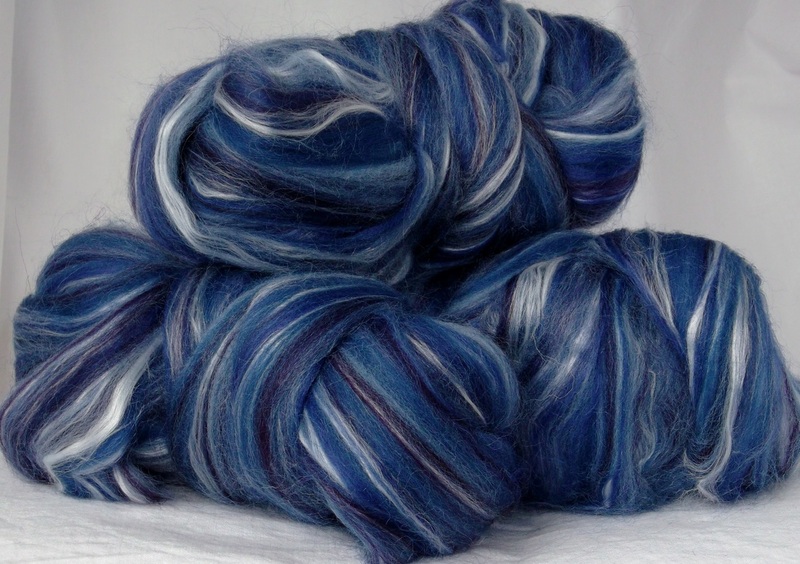 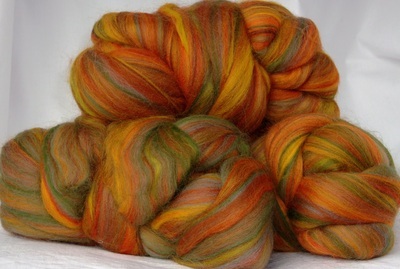 They do sometimes look a bit wild, but always tone down when spun or felted. 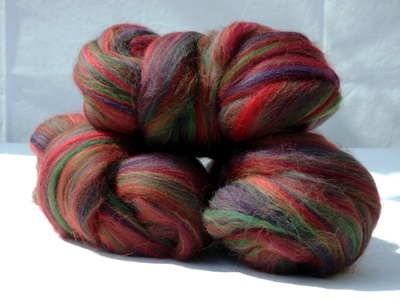 I encourage you to look at the pages referenced above for an idea of what they look like after spinning and felting! Oh the snow it snowed on the green pine trees. 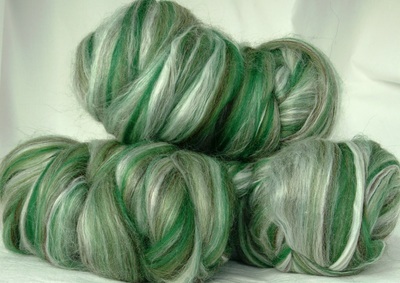 British Shetland 75%, bamboo 25%.